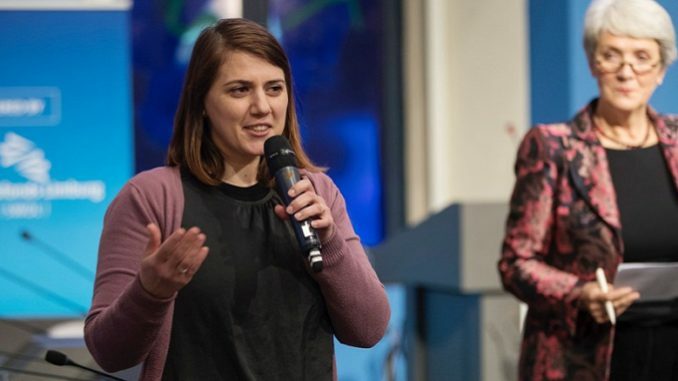 Claudia Egher, who is conducting her PhD within MUSTS, has won the Vision Essay Competition at the launch for Maastricht’s new Data Science Institute, during the symposium Future of a Data-Driven Society. The competition invited submissions for visionary essays on the future of data-driven society. Claudia’s essay, titled “Digital Morning, or Manic by Design”, depicts a morally ambiguous future of personalized mental health and digital surveillance, inspired by her research on the enactment of bipolar expertise online. Claudia’s essay illustrates the force of narrative and the imagination in addition to scholarly analysis in grappling with future social and ethical implications of technoscience, and was chosen unanimously by an interdisciplinary jury of senior researchers. Claudia’s PhD is funded by NWO and supervised by Sally Wyatt and Tamar Sharon. The winning essay and more information can be found on the website for the competition.